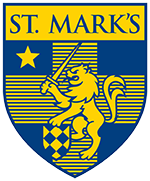 St. Mark’s School of Texas provides its students with a challenging and engaging curricular program in English, social studies, foreign language, mathematics, science and fine arts. A boy’s Upper School program includes required and elective courses, physical education or sports, community service, and optional extracurricular activities. As stated in our Statement of Purpose, “Teachers work to instill an enthusiasm for learning, to encourage independent and critical judgment, and to demonstrate the methods for making sound inquiries and for effective communication.” Additionally, the School provides the boys the opportunity to participate in co-curricular and extra-curricular activities in journalism and athletics. While providing students with a rich experience in the traditional classroom setting, the School employs various, distinct pedagogical practices and methodologies through the Harkness method, academic tutorials, seminars, and coordinate classes. In this section, you will find our academic policies and practices ranging from assessments and grading, to our graduation requirements and course offerings. We believe that the St. Mark’s academic program enriches the lives of our children, allowing them to explore various fields of study in a rigorous but safe environment with an experienced, supportive, and caring faculty. Questions or concerns should be raised with the Head of Upper School or the Director of Academic Information Systems. Pass/Fail — Seniors may take one non-required course each term on a Pass/Fail basis. The request to do so must be made within the 10-day period allowed for course changes. Forms with which to make this request are available in the Upper School office. The Head of School determines which requests will be approved. Once a request is approved, it cannot be changed. Senior Failures—Seniors must receive passing grades in all courses taken during their senior year in order to graduate. The Head of School may, at his option, permit a student to make up failing grades in a way acceptable to the Head, Headmaster, and the department involved. Such an arrangement may or may not restore a student’s eligibility to receive a diploma and/or to participate in graduation exercises at the discretion of the Headmaster. Senior Exhibition—The Senior Exhibition is the performance of a special talent, skill, or interest made to one or two grade levels and the faculty. Senior Exhibitions may include speeches, chapel talks, musical performances, or other presentations as approved by the Headmaster and the Head of Upper School. Students plan for their exhibition in the spring of their junior year. A date and venue are assigned by the Upper School office. Senior Spring Project—A senior may apply for a Spring Project during the second term if his cumulative and current G.P.A. is 2.8 or better and if he has not received any D’s and is in good citizenship standing. A Spring Project permits a senior to pursue a special interest on or off campus in place of one or more of his academic classes (except AP courses and courses required to meet distribution requirements for graduation). For example, a senior might work in a law office, intern at a newspaper, study with a teacher on a particular topic, or follow other vocational or intellectual interests. This project must meet the criteria set out in the Senior Project Application and must be approved by the Spring Project Committee. Satisfactory completion of an approved Senior Project is a graduation requirement. Questions should be directed to the Head of Upper School. Senior Final Assessment—All seniors are required to complete year-long courses in an effective and meaningful way. To that end, teachers of senior courses will generate culminating activities unless the course is a one- or two-trimester class. The activity is meant to be a creative collaboration between teacher and student. Some possible culminating activities are panel debates, take-home essays, power point demonstrations, oral defenses, and video presentations, or teachers and seniors may opt for an objective comprehensive test. Whatever the activity, its goals are to encourage class and student integrity, to maintain a higher level of interest through the end of the academic year, to explore a creative response to course work, and to bring closure to the class. All boys entering the ninth grade are required to go on a school-sponsored trip to the Pecos Wilderness for ten days in August prior to the opening of school. No boys may miss the Pecos Trip without advance permission from the Pecos sponsor and the Head of School or the Headmaster. Only exceptionally compelling circumstances will earn an excuse. Each spring, department chairs ask their teachers for recommendations to Honors and select Advanced Placement sections. Students must read and abide by each department’s criteria and selection process in the course descriptions. Students will be informed of their recommendation and are encouraged but not required to accept recommendations. Boys should consult with their advisors or the Head of School concerning their total load, particularly if they are considering several AP or Honors courses or have other heavy commitments of time and energy in mind. All AP Exams are voluntary. Teachers may encourage students to take the AP exams, but AP exams are voluntary. AP classes, complete with evaluations and grades, will continue to meet until the end of the term, and a culminating assessment is a requirement for students in all AP courses. Students who are new to St. Mark’s take placement tests in mathematics and foreign language upon admission. Generally, entering students are not placed into Honors or AP courses. However, if a new student wishes to be considered, he may apply for an Honors or AP course through the Head of School. The Head of School, in consultation with the appropriate Department Chair, will make a determination of the request before the beginning of the new academic school year. Students wishing to gain academic experience in a particular area not covered in the curriculum may do so by submitting a tutorial application to the Head of Upper School at least three weeks before the beginning of an academic term. A tutorial may not serve as a substitute for a course in the curriculum, nor may it serve to rectify a conflict in a student’s schedule. To apply for a tutorial, a student should speak to the Head of Upper School about procedures and requirements and ask for an application. The Head of Upper School approves or rejects all tutorial applications and may initiate a standard of accountability during a student’s tutorial experience. Initiated by the student, a tutorial is normally approved for one trimester only, though a student may reapply at the end of each trimester for an extension. Tutorials usually are pass/fail and receive credit and are recorded on student transcripts. The tutorial does not carry a weighted or honors credit and is not calculated into the cumulative G.P.A. In rare instances, students may petition for a graded tutorial. In order to receive consideration and approval for such a request, the student must meet with the department chair and the Head of Upper School. The Headmaster must approve the request. The Head of Upper School will notify the student of the final decision. Some tutorials approved in the past few years include specialized study in bacteriology, creative writing, drama, visual art, and other specific academic and artistic areas; assisting a teacher with regular course planning, grading, and tutoring; and study at other educational institutions. Tutorials are normally approved during the spring at about the time the Course Selections are due. Students should sign up for courses without assuming they will take a tutorial and then alter their course choices if the tutorial is approved. Every effort is made to fulfill all student course requests. However, due to class size, teacher availability, and the number of periods in our academic day, there are times when not all requests can be honored. Students must carry a minimum of four credit courses each trimester as well as P.E. or Athletics; students should request at most 6 year-long classes and 3 PE/sports. Students should not take more than two courses (including tutorials) simultaneously in the same department or from the same teacher. Academic Tutorials are not typically graded but earn credit and become one of the courses on a student’s schedule. See additional Academic Tutorial policies for more details. Extracurricular activities can take a great deal of time and should be considered in scheduling (e.g. debate, publications, elected office). Under-enrollment or other reasons may cause an elective course to be canceled. Students may request course changes during the first ten class days of the term for year-long courses. For one-trimester courses, this request must be made within the first five class days. As a student considers these changes, he must consult with the Department Chair, his instructor, his advisor, and his parents. When the Department Chair agrees that the course may be changed or dropped, the student must procure a Course Change Form from the Upper School Office. Signatures are required before submitting the request to the Head of Upper School. Requests are then reviewed by the Head of School for appropriateness. After the deadline has passed, exceptions to course change requirements are very rare and are granted only at the discretion of the Head of School. Such exceptions will be noted “WP” (withdrew passing) or “WF” (withdrew failing) on the student’s transcript, unless a department chair initiates the course change or the Head of Upper School determines the course change to be necessary and in the student’s best interest. Students are cautioned that, in the case of a failed course, the Head of School may withdraw the School’s offer of re-enrollment. Alternatively, a boy may be required to do summer work or to repeat the course. In such a case, only the second grade will be used in computing the G.P.A., and the transcript will include the notation, “RF” (Repeated Failing). In cumulative disciplines such as math and foreign language, the Head of School may also require a boy to improve his skills before continuing his course of study at the next level. Some students will do required summer work; others will be assigned to repeat the course. Students who repeat a passed course receive only one credit. Only the second grade will be used in computing the G.P.A., and the transcript will include the notation, “RP” (Repeated Passing). St. Mark’s graduation requirements go well beyond the required curriculum for college admission. Students may also take additional courses each term to add depth in areas of special interest. Boys should aspire to the most challenging program of study they can successfully undertake. This goal is discussed yearly between families and each boy’s advisor. Students must successfully complete the equivalent of 18 full-year liberal, fine arts, and elective courses, physical education or sports, community service, the Pecos Wilderness Experience, the Senior Exhibition, and optional extracurricular activities. 15 hours of Community Service during each school year. Completion of the Pecos Wilderness Experience (required for all students entering St. Mark’s in ninth grade). Satisfactory completion of the Senior Exhibition. Additionally, a student must achieve a cumulative Upper School grade point average of 2.0 or better to be eligible to graduate from the School.